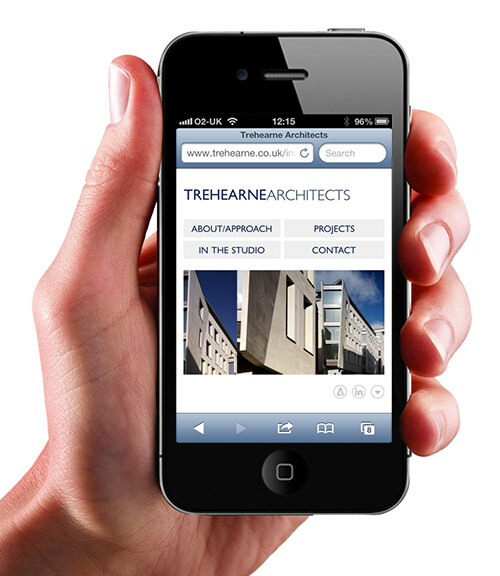 Back in 2007 we built a Flash website for Trehearne. Keen to move forward to a standards-compliant mobile-optimised website, Trehearne came back to us in 2012 with a brief to display their work in a clean, simple and responsive template. The website was designed with a mobile-first approach so that it works as beautifully on smartphones and tablets as it does on full screen devices. Our bespoke CMS enables Trehearne to add/edit and reorganise projects via a simple, intuitive content management system which can be accessed from anywhere. And in case you're wondering, yes, the CMS is mobile optimised too. Working on our new website with Stuart and the team at Eyes-Down has been a great experience. As designers we are always seeking new ideas and the best way in which to portray our portfolio and Eyes-Down made the whole process, from conceptual design to completed site, an enjoyable journey. Eyes-Down have always provided us with a first class service and it is the open dialogue and discussion of ideas that fuels the creativity between us, enabling Eyes-Down to create websites that suit our current needs and provide flexibility for our future requirements.